Websites are quickly becoming the number one avenue to sell products. Brick and mortar shops are impractical for small businesses but an online space caters to vendors large and small. As convenient as these accessible sale spaces sound, they are only practical when they are running smoothly. E-Commerce is the lifeblood of any business website. Without a properly designed E-Commerce site, you can expect bugs, programming issues and distrust from potential clients. With Quake, our E-Commerce site showcase your services and products while managing orders and operating securely. So What Is Electronic Commerce? Electronic commerce is just a fancy name for an online store. Instead of rushing to an average storefront, e-commerce sites allow goods and services to be purchased at anytime, from anywhere in the world. A proper site is designed and developed to create an online market, easily accessible from any media platform. Social media is one of the main ways to track and view online stores, so it is important for sites to transfer platforms, from phones to tablets, to laptops. There is nothing worse than opening a web page on a mobile device only to find an obscured landing page. E-Commerce websites are invaluable tools not only for owners but for clients as well. By opting for a fully functional E-Commerce site, customers have access to your products at any time that is convenient for them. By making products or services available around the clock, there is no time constraints put on your clients. These E-Commerce tools can be designed effectively and specifically to the needs of clients, making your website unique to your brand. A properly designed E-Commerce system enables your business to move smoothly from the perspective of both site management and customer traffic. One of the main hurdles of web design is to identify key demographics and to create a welcoming and engaging theme for target audiences. This theory seems simple enough until break into the types of e-commerce out there. Business to consumer (B2C) focuses on an area where a business sells items or products to consumers. Adversely, business to business (B2B) focuses on a business selling to another business. Whether focus is on consumers or other businesses, the most important aspect of an online market website is security. Many consumers are wary of putting their credit card information out into the online universe. Keeping this information secure allows clients to buy and sell items without compromised accounts. We are experienced in various platforms of E-Commerce, including Opencart, Magento, Virtuemart, Woo Commerce, Shopify and others. A WordPress build with a fully integrated eCommerce solution. Working off the clients existing branding we built this new website with easy navigation and optimized all pages for SEO. Terra International Foods is one of Western Canada’s leading brand builders who represent a number of of the world’s highest performing specialty, natural-organic, and everyday grocery products. 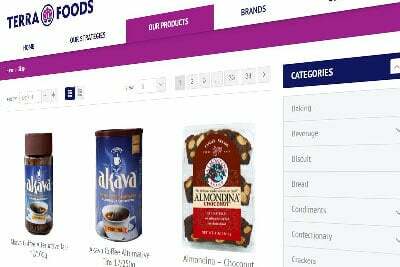 This E-commerce website utilizes WordPress’s Woocommerce solution. 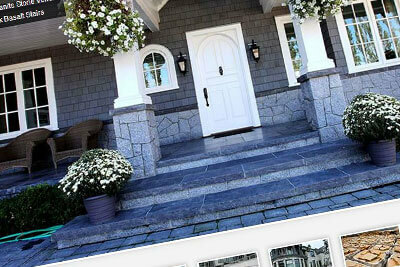 Bedrock Granite Sales is a wholesale and producer of many beautiful natural stones. 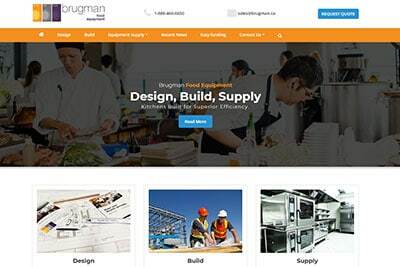 Starting with a fresh design we recoded their current build and produced a mobile friendly, responsive website that is easy to navigate, google friendly and showcases their many products in a beautiful slide gallery. A custom blog was built for easy announcements and user comments.